Write and balance equations for the three forms of radioactive decay. Solve half-life problems [decay constant: k=0.693/T(1/2); nuclear decay: Af =Aoekt]. Explain dating methods using carbon-14 or uranium. Recognize how the quantum theory explains the photoelectric effect. 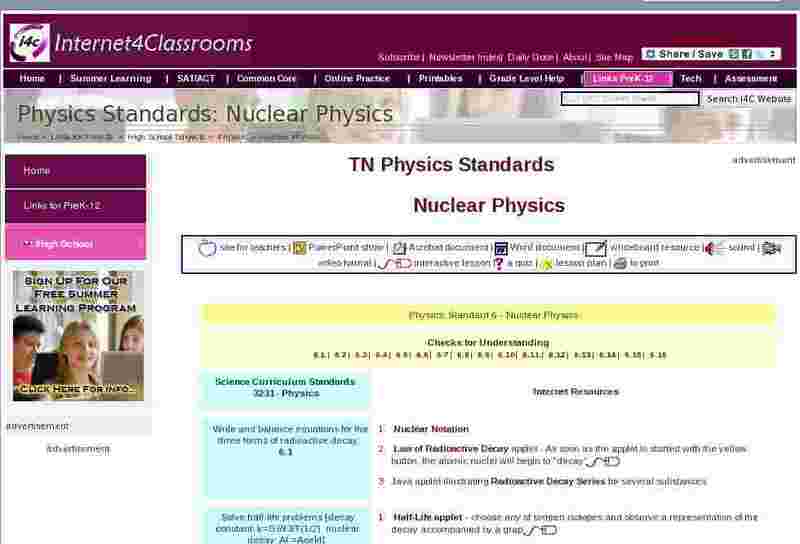 Investigate the history and current events associated with nuclear and radioactive science. Describe three forms of radioactivity. Distinguish between the Bohr model and the quantum model of an atom. Explain the changes in atomic number or mass number for each form of radioactivity.